Proceeds in part go the Angel Fund providing assistance to those fighting cancer in our community. 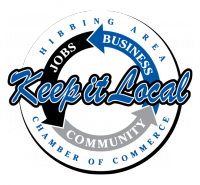 For questions, please contact the Hibbing Area Chamber at 218-262-3895 or info@hibbing.org. To participate as a vendor, please fill out the following: Vendor Application and MN ST-19 Form.